TRUMPF is pleased to announce that the TRUMPF Inc. training center in Farmington, CT, has been approved by the State Approving Agency (SAA) of the Connecticut Office of Higher Education to train eligible Veterans Affairs (VA) educational beneficiaries. The official certification was granted on October 28, 2015. The SAA approval stems from a rigorous application process followed by a site survey of TRUMPF’s training facilities. With this certification, TRUMPF’s training center becomes the first and only center in the machine tool industry that is both IACET certified and certified by the SAA to train eligible veterans. Since tuition is now covered by the VA education assistance program, veterans now have the opportunity to enroll in TRUMPF training courses and earn CEUs at no cost to them. 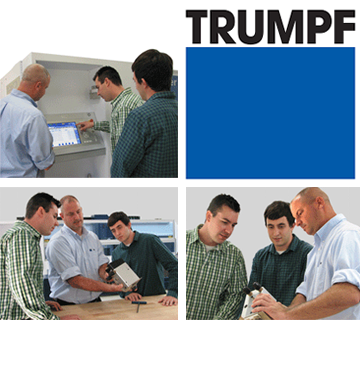 Please visit TRUMPF Inc.’s training webpage, www.mytrumpf.com/us_training/ for more information on courses offered. TRUMPF is the world market and technology leader in fabricating machinery and industrial lasers for flexible sheet metal processing. Products manufactured with the company’s technology can be found in almost every sector of industry. TRUMPF Inc. is the largest subsidiary of the TRUMPF Group and is dedicated to serving the U.S., Canadian and Mexican markets.